Hi! Ho! Hi! Ho! SQL Server on Linux We Go! SQL Server has been running on Windows for years. Now Microsoft is making it available on Linux in order to provide a consistent database platform across Window and Linux servers, as well as on-premises and in the cloud. 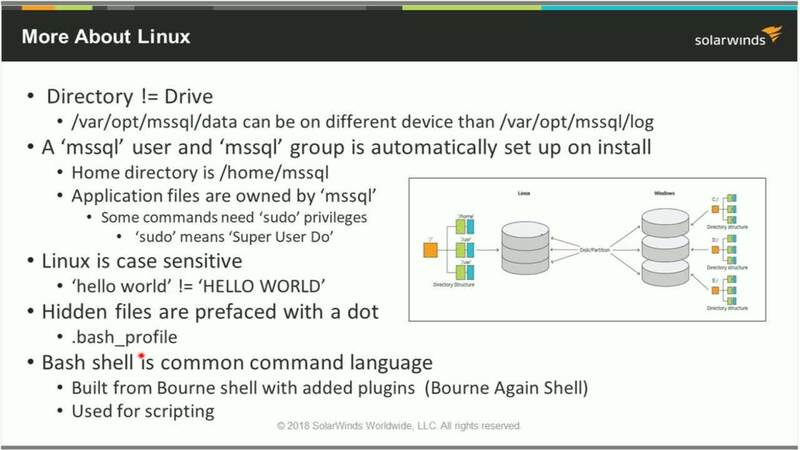 In this presentation, Janis Griffin, database performance evangelist at SolarWinds, discusses the advantages of using SQL Server on Linux, comparing architecture, cost and performance.